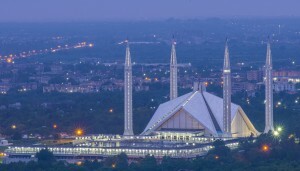 Islamabad is the most popular city of Pakistan. There are numerous of famous and historical places in Islamabad like Daman-e- koh, Rawal lake, Shakarparian hills and Margalla hills. 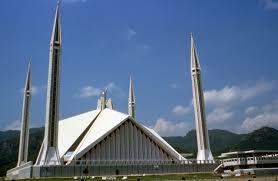 Faisal mosque Islamabad is one of the most beautiful and famous place in Pakistan. It is an amazing creativity for visitors. It is located in Margalla hills. 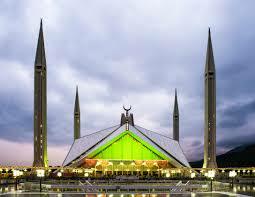 It is one of the most beautiful mosque in Pakistan. It was established by late shah Faisal of Saudi Arabia. It is an iconic symbol of Pakistan throughout the world. 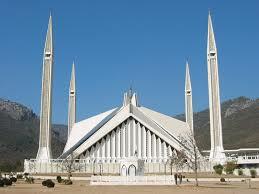 It is the largest mosque in Pakistan. 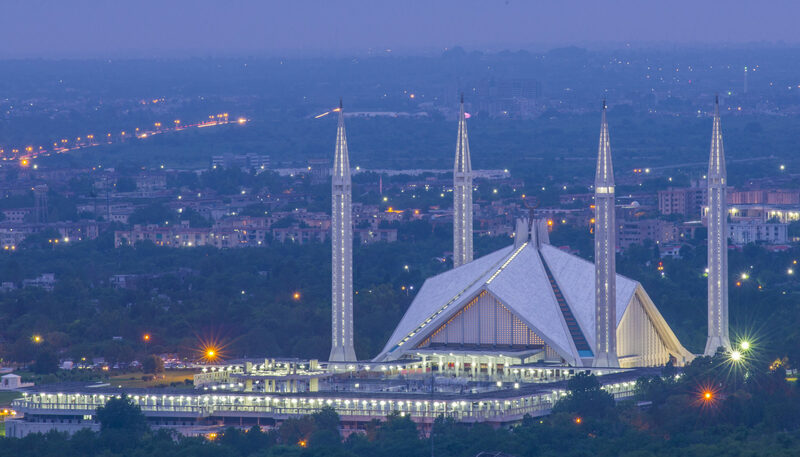 Faisal mosque covering an area of 5000 meter square. 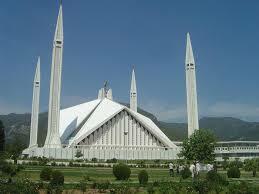 Faisal mosque can accommodate 74000 people at a time. 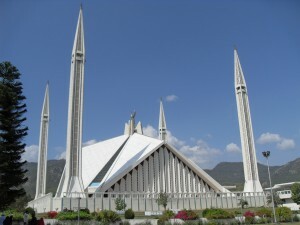 This Mosque architecture still considers unique and modern in design and considered as the national mosque of Pakistan which construction inspires the hopes and objective of new upcoming generation. It consist of four stunning Turkish style minarets and the ground is enclosed with white marbles and ornamented with mosaics. 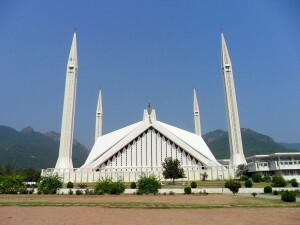 Faisal mosque is one of the largest mosque in the world. There are a lot of people visit to this place. When you go go there you can feel quite calm, peace and fair. 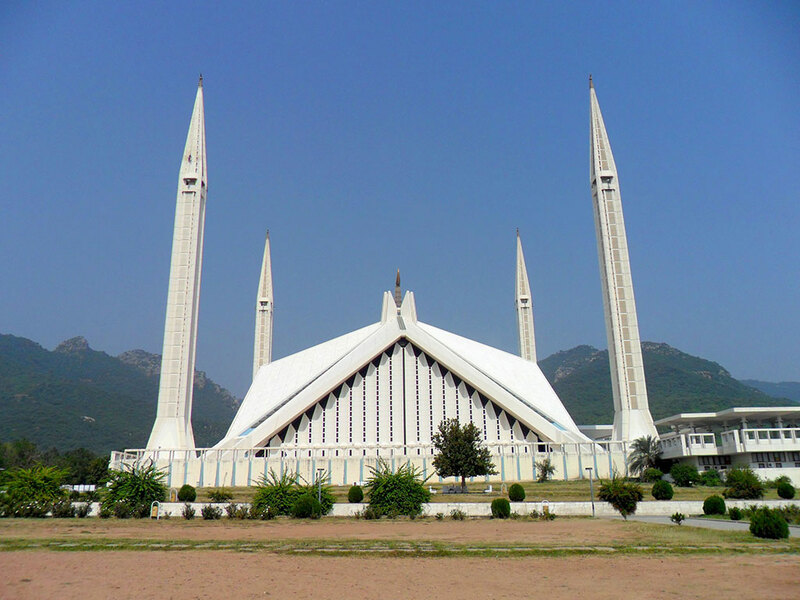 Shah Faisal Mosque is open for everyone but some limitations are imposed within main prayer hall which is only open at the time of prayer. Visitors are not allowed to capture the photo inside the mosque.every one can visit there with relatives and friends. 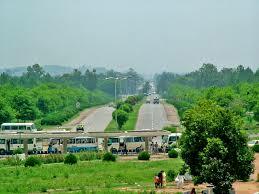 There is no doubt that it is pleasant place in Pakistan to visit. 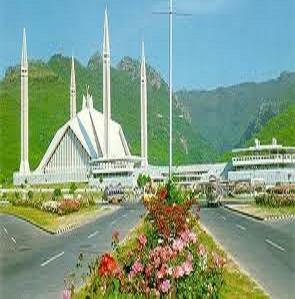 Large number of students, tourist, and foreigner’s delegation visit to the Faisal mosque daily. If you have any information regarding to this you can share with us trough your kind comments.